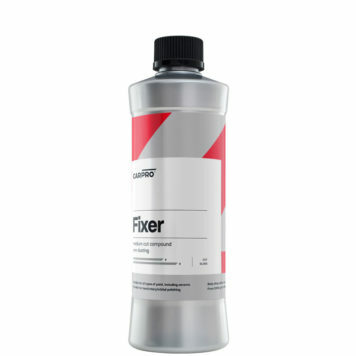 Removes Iron Particles and prevents the spread of iron-related damage & helps to protect your vehicle from paint system failure. 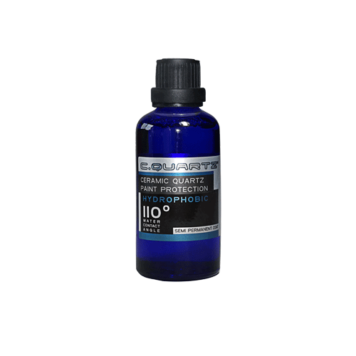 Safe to use on Aluminum, Chrome, Anodized, Alloy, or Clear coated wheels. Safe for use on all solid car surfaces and will not deteriorate clear coats. (Avoid using on Fabric Convertible tops. Airborne chemical compounds and ferrous particles (particles containing iron) actually penetrate the paint and create corrosive compounds that eat deep into the paint’s sub-layers or paint’s pin-holes. This is a gradual process that often is not evident until it’s too late. Claying does not remove the entire particle which will continue to spread beneath the surface if not dissolved. A.-Use outside or with sufficient ventilation. B.-Use latex or Nitrile gloves, and face protection. C.-If there is an inordinate amount of tree sap, tar, other organic material, wax, or sealants on the vehicle I recommend you strip them first with TarX so Iron X can attack the ferrous particles without any interference. This is not required but is how I like to do it for best results. D.-For best results apply to a mostly dry surface. A few drops of water is ok.
2.-You can cover the surface with Iron X by spraying it everywhere but that can be wasteful. 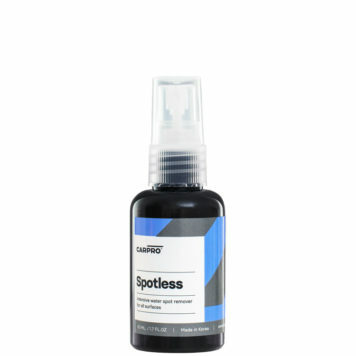 I recommend that you spray as needed and spread it with a small sponge or applicator to cover the entire surface. 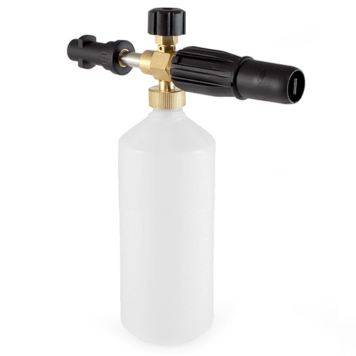 You may also consider using an atomizer type spray bottle or HVLP gun. 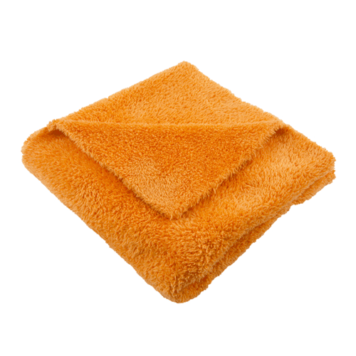 In any case evenly cover the surfaces you wish to decontaminate. The product is strong so you don’t have to be wasteful. Just make sure it contacts the entire surface. 3.-Allow the product to dwell for 5 minutes in the shade. Do not allow it to dry in the sun. On light colored paints you will see the product dissolving ferrous particles as it turns color. On darker colored paints everything is happening in exactly the same way. It’s simply more difficult for you to view the color changing affect. I have read people saying the product works better on lighter colored cars but that is illogical and is not the case. It works the same regardless of car color. 4.-After allowing to dwell take a damp (not soaked) grout or other paint safe sponge (or other media if you prefer) and agitate the surface. Don’t forget to rinse your media out also. I like to have a dedicated Iron X sponge but that isn’t necessary. How iron particles appear on your car surface and where? Iron particles are all around us, and ofcourse on our cars after traveling through the environment. They can be made from your car braking, driving near other cars, big trucks, train rails, industrial zones etc. They adhere to the car surface and once they “stick” to your paint due to there sharp edges together with sunshine they start to bake into the soft car paint layer where they oxidize and rust. How to prevent iron dust from etching your paint ? It’s almost impossible to prevent the irons to stick on the surface , but it has been proven that inorganic coatings (such as Cquartz & C1) that have self-cleaning effects can reduce the quantity of iron that adheres to the surface. How to remove iron particles from surface? There are few options. Clay bar is one of them however claying will remove most of the irons by shaving them, which leaves some underneath the surface where it cannot reach. Also clay could possibly mar your paint with micro scratches together with the iron it catches. Another option is by oxalic acid solutions. Though it may remove iron you can’t be sure it is safe on paint, which depends on dilution (low pH ), and it’s not safe to use for your own health and environment. 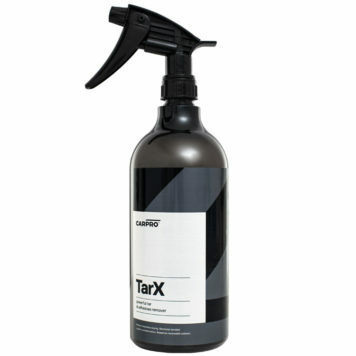 The third option is by Iron X, a pH neutral product, which reacts only with iron particles which it dissolves. 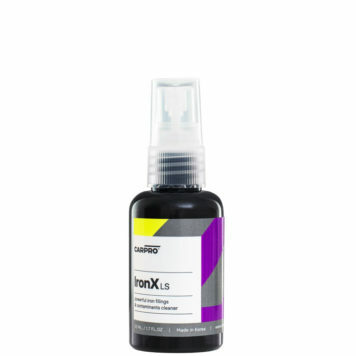 IronX contains a specific chemical that reacts aggressively with iron… BUT and it’s big but, this chemical is very unstable if not mixed in the right % ,its sensitive to heat as well. This means it can even react with open air and change color to red/purple without any contact with iron! Why it changes its color ? Iron X changes color to red/purple when coming in contact with iron particles, this is due to chemical reaction between the chemicals and iron. However some other products change colors as well. The change in color does not necessarily mean a product is dissolving iron. There are very cheap chemicals that change their character simply by contact with air. Why the bottle is transparent? 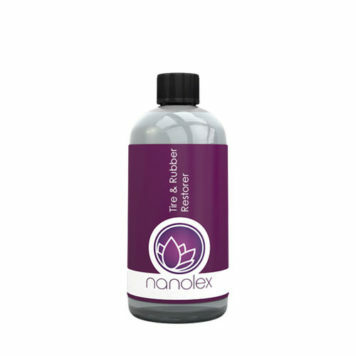 We use transparent bottles so the customers can see if color of liquid has reacted, with the metal spring inside the sprayer or even in the open-air contact,. Once the color changes it is loosing some of its strength. However with Iron X it is still very strong even if it becomes a pink color. 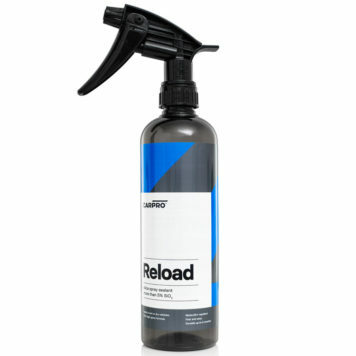 Why we now use special full plastic spray heads? In the past we faced complains about the changing color inside the bottle. this was due to the metal spring inside the spray head, which most triggers use including the so-called chemical resistant types. These spring are mostly made in China and have rust on them from their creation. That was why we recently started using only plastic springs inside the triggers. This way no more possibility of reaction with any irons until the product is used. The new triggers are marked with small stickers on them, to define from old ones. Will Iron X stain chrome wheels or chrome trims? Will Iron X discolor wheel weights ? Yes, it will. Wheel weights are made from lead, Iron X will change the lead color to green. 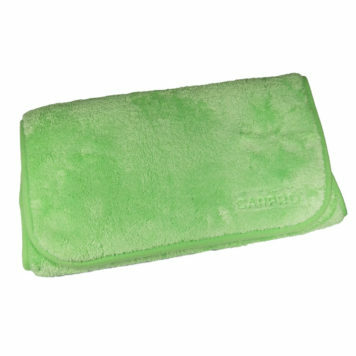 However light agitation will recover the original color. Will Iron X affect brake calipers ? 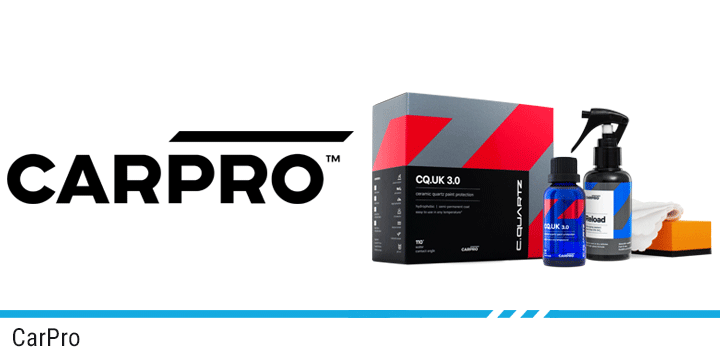 For most high end calipers it will not affect them however we have heard from customers in the past that Iron X can affect the paint color of low quality acrylic painted calipers. For this reason we advise you to be more careful not to spray on them. Will Iron X remove wax from car paint? Yes, if it’s a highly organic oil type it will affect the wax properties. If it’s a synthetic polymer sealant it won’t affect it much. On Cquartz or other inorganic coatings it won’t affect them at all. In fact it is even recommended for use on them. 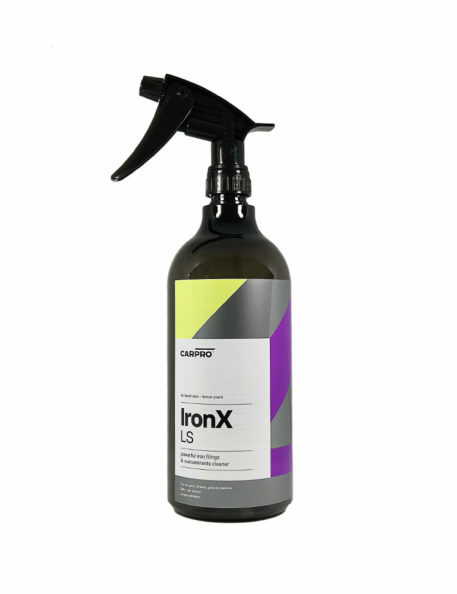 Does Iron X remove tar spots as well? No, Iron X reacts only with iron particles . Is Iron X safe to use on 3M films venture-shields? Yes, there is no problem at all using it on clear bra’s and others. Why does it smell so bad? This is the nature of the chemical used, you cannot avoid this. If it doesn’t smell so strong it means it has very little effect on iron or is a very diluted or inferior formula. We do advise you to use a facemask and latex (or Nitrile) gloves while using Iron X. Why Iron X has low to medium viscosity? The viscosity was the struggle between the best impact with iron and the best/safest way to easily remove it from the surface. If you make the product too thick will not react well with iron particles due to the thickener additives. If you make it too thin there will only be a short reaction time, which will leave some iron behind. With Iron X we have attempted to find the sweet spot between these two challenges to hit the center of the target with our solution. Can I leave Iron X to dry on the surface? Yes, you can leave Iron X on the surface to dry, but not under direct sunshine! However I don’t suggest you leave any chemical composition to dry. How can I remove iron in a more economical way? There are few ways. Buy in bigger size containers if you know you are going to use it more in future. Buy the eco refill packs, these save the cost for the plastic bottle and triggers + it’s weight for delivery. 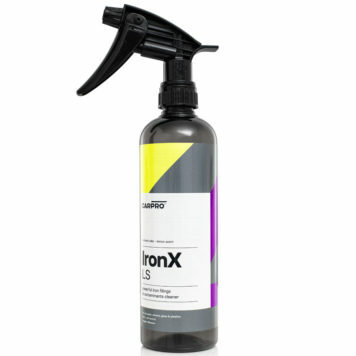 You don’t need to “soak spray” your car and wheels with Iron X. A light spraying and agitating will do the job as well. 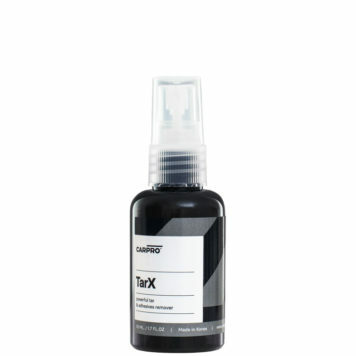 Iron X is powerful enough to handle with a few spritz on the surface. Another option is by using a HVLP (high volume low pressure) gun together with air pressure you can save much of the liquid and spray the surface well. Use Iron X Soap Gel for maintenance, using it neat on car surface or wheels will be a powerful iron remover with very low consumption however you will need to agitate and leave on the surface to react.